It’s true. The level of quality now seen was the goal from the very beginning. I have 2 ponos, the AC and the MCD, and I couldn’t be happier with them (I can see some excess glue from the AC’s soundhole, but to me it doesn’t really affect the sound quality – or does it? – so I’m happy to ignore it). They both have very distinct, but equally delicious sounds, and I love their understated but elegant aesthetic. I’m saving up for the Pono Ebony, and I can’t wait for it to come in later this year! Excellent video and a window into the process of building these fine instruments. 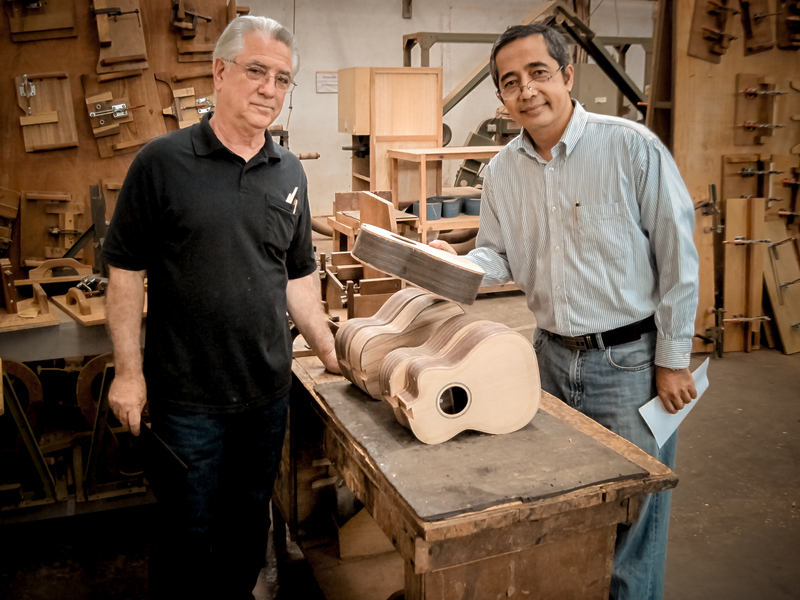 I’m not surprised by the quality of these ukuleles and the dedication of the builders. I have two Ponos and I’m sure to add a couple more. Exactly right. Affordable excellence. I love my Ponos! I am so happy that Andrew gracefully (with no agenda at all) suggested I consider purchasing a Pono. I’m thrilled with my ‘first’ Pono being an MT. I’m even more psyched watching this video, realizing the fine materials, intention, and growing craftsmanship that are coming together at Pono. Then I’m really proud that my work/ money spent on my Pono has in some way gone to paying for somebody’s health insurance! Thanks John, Andrew, and all of you at Pono for putting all the pieces together. PS: How does Corey Play like that? Wow!! Excellent opportunity to see how a Pono is born! With all the TLC no wonder they are such a quality instrument.